We finished up our last post with a comment that we would be back to our recliners for our regularly scheduled lounging and we have been doing our fair share of that. Hence the lack of posts the last two weeks or so. Sorry my friends, we’ve been loafing and that’s not very exciting to write about. But we have found the time and energy to get out and do something things…. 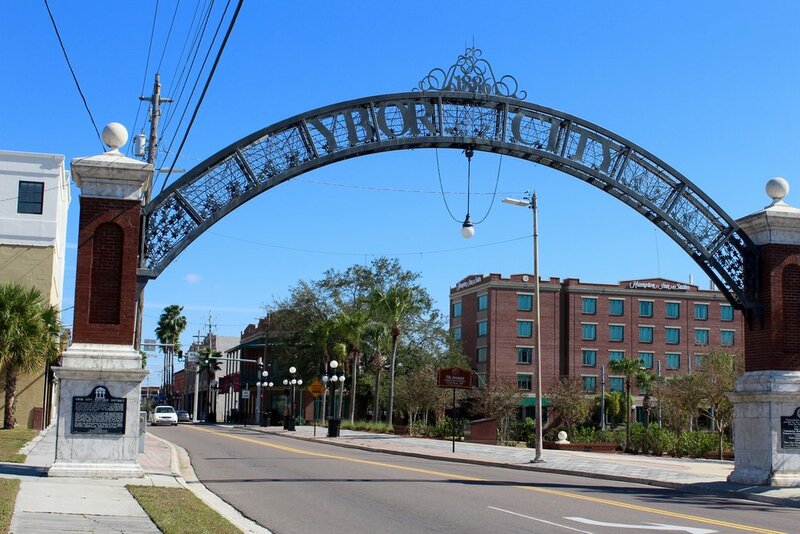 We did take an afternoon to check out Ybor City, which is a historic neighborhood located just northeast of downtown Tampa. It was founded in the 1800s by Vicente Martinez-Ybor and populated by thousands of immigrants from Cuba, Spain, and Italy. For half a century, Ybor City was the hub of cigar factories with hundreds of millions of cigars rolled annually until the Great Depression caused a drop in demand. IN the last 25 years, part of the original neighborhood has been developed into an entertainment, art, and night club district. I’m a sucker for downtown Main Streets and Russ for old architecture, making Ybor City an enjoyable place to spend the afternoon. Adding draft cold brew coffee on tap from Blind Tiger Cafe to the afternoon made it a true win. I almost failed to mention, the wild Ybor City chickens. Apparently they have been around for decades! You can hear the rooster’s crowing from blocks away and there were hens with their chicks around several corners. Those who know me, know I’m no fan of birds. But, I have to say I’ve been coming around lately. After all, chickens = eggs and eggs = yummy! An apple a day keeps the doctor away. Apparently we had been forgetting our daily apple as we made doctor’s visits the last few weeks. The good news is they were well-visits just to establish a new doctor in our new state of residence - Florida. It felt good to met our new doctor, get a quick check-up, blood-work, and follow up. Dr. Roose gave us a thumbs-up and told us to enjoy our travels with of course a little less ice cream and potato chips. Okay, fine back to the apples! One chilly morning (well not chilly for our northern friends & family), we decided to check out the manatees again at the Manatee Viewing Center we visited a few weeks ago. What cool, slightly boring creatures they are! We were just dying to see one jump out of the water and do some sort of trick. Not happening….ever! However for anyone looking for a new career path, Manatee Research Team sounds like a pretty darn good one. 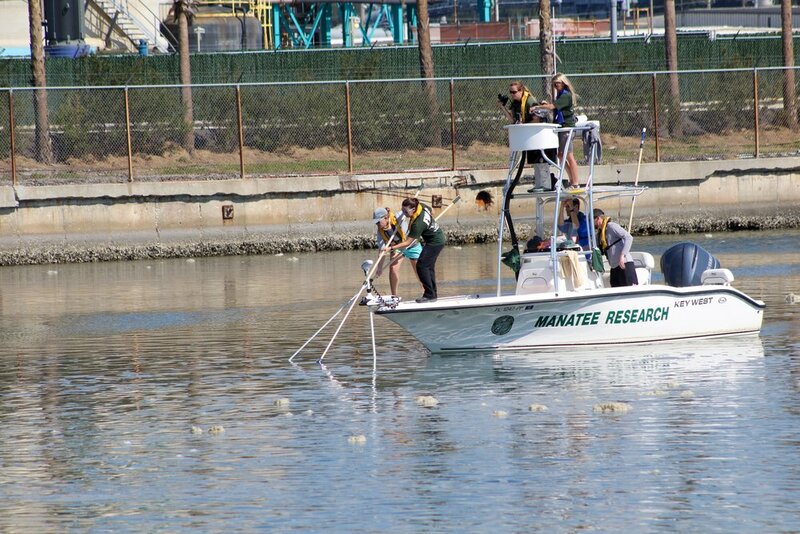 We watched the crew collect samples from the manatees enjoying the warm water in the canal. While the morning started out a bit chilly, in true Florida fashion, the weather got its act together by noon. 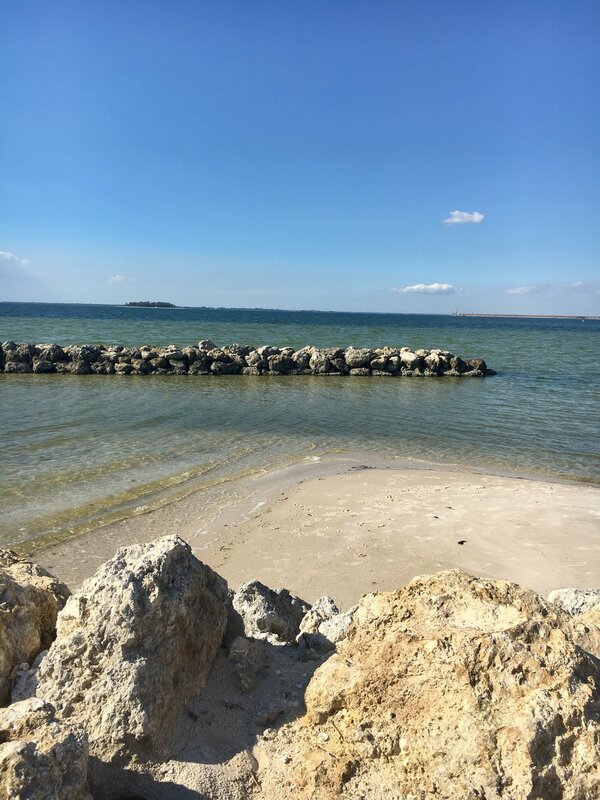 We headed to Apollo Beach Nature Preserve for some waterfront beach-time. Just what the doctor ordered! Oh wait, I think that might have been less ice cream and potato chips. But, I’m sure she would prescribe some relaxation too. Right Doc? With no plans this past Saturday, we did what we love to do on Saturdays - meander around a local farmers’ market. We checked out the Temple Terrace Farmers’ Market and Ybor City Saturday Market. So good for my soul AND tummy. Farm fresh tomatoes in the winter are still new to my brain, but the bruschetta made from those tomatoes made the Patriots Super Bowl win a little more bearable. Faithful readers, we have something we must to disclose to you: We love Florida winters!